Poor Mario. 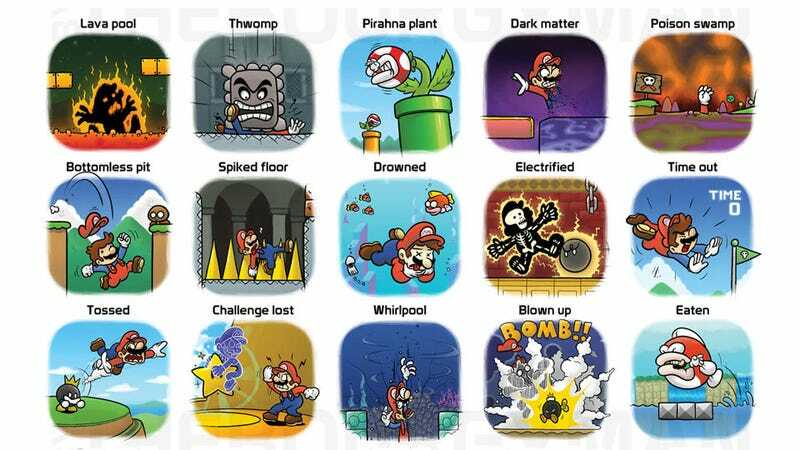 It seems the older he gets, the more ways Nintendo finds to maim, crush and kill him. By TheBourgyman.